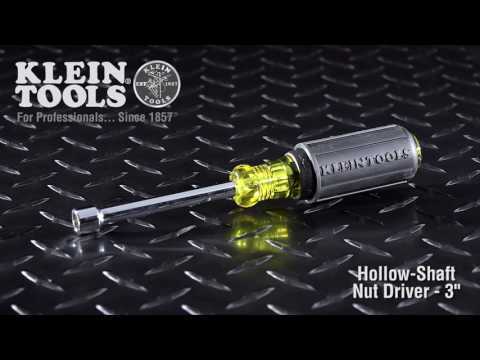 Klein has the nut drivers professionals demand to get the job done. The full hollow shaft facilitates work on stacked circuit boards or other long bolt applications. Premium chrome-plated for smooth feel and corrosion resistance. The handle end is color coded for easy identification. The patented Tip-Ident® quickly identifies nut driver and size.